Authorities have released the name of a 53-year-old man fatally shot by an off-duty Chicago police officer in the Bucktown neighborhood, nearly two days after the incident happened. 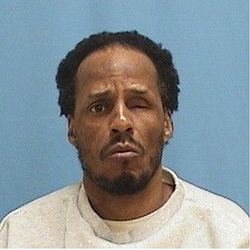 The man was identified as Steven Isby by the Cook County medical examiner's office. The office did not release his home address. Police say an off-duty officer spotted Isby inside a construction site near his home as the officer returned from work early Monday morning. The officer identified himself and drew his weapon when he saw Isby had a screwdriver, according to a statement from police. Isby then began struggling with him, according to police. The officer's weapon discharged during the struggle, hitting the officer in the arm, police said. The officer regained control of his gun and fatally shot Isby, authorities said.